The Yahara Society Reception is an annual gathering to thank our Yahara Society level donors. Hosted by Tom Terry and the Terry Family Foundation with supporting hosts Joe & Susan Boucher. The Yahara Society recognizes you or your workplace’s generous decision to include Clean Lakes Alliance in your annual philanthropic planning. Members of the Yahara Society invest in our mission by making an annual donation of $1,000 or greater, given independent of event tickets or sponsorships. By becoming a member of the Yahara Society, you are making a statement that cleaning up our lakes should be one of our community’s top priorities. 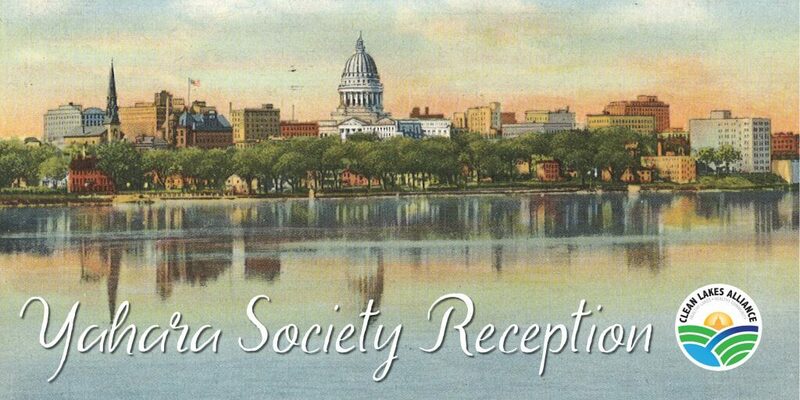 Please join us at a special spring time Yahara Society reception to celebrate all that you do for our lakes and our community.